Well, it's true, we do in fact know the best-selling Amazon skincare product of the last decade, thanks to Cosmopolitan. This $17 body oil has been the most purchased skincare product from the e-retailer for 10 years now, which means people all over the world have deemed it worthy enough to include it into their beauty routines. Okay, we know this is big news, so we won't make you wait any longer. Keep scrolling to see the past decade's best-selling skincare product on Amazon. The best-selling skincare product on Amazon from the past decade is none other than this classic body oil. If you personally don't use it, it's likely you know someone who does because it's ubiquitous at drugstores, pharmacies, and the like. People rely on it to treat scars and stretch marks, uneven tone, and dry skin. The hypoallergenic formula won't clog pores, and plant extracts of calendula, lavender, rosemary, and chamomile oil are included inside. Not only is it the best-selling skincare product, but it's the third best-selling product overall. That's crazy, considering that Amazon sells millions of products across all categories—skincare, makeup, tech, food, and more. The reviews make this new information clear. One user wrote, "Upon the recommendation of a friend, I began using a different stretch mark product around 2 months before my daughter was born. This was long before I had stretch marks appear, but surprise! They popped up anyway. Totally expected this to happen- but this product claimed to prevent stretch marks so I was a bit disheartened. I continued using this product until my daughter was approximately 5-6 months old on the advice that I give it time, but saw no improvement whatsoever. 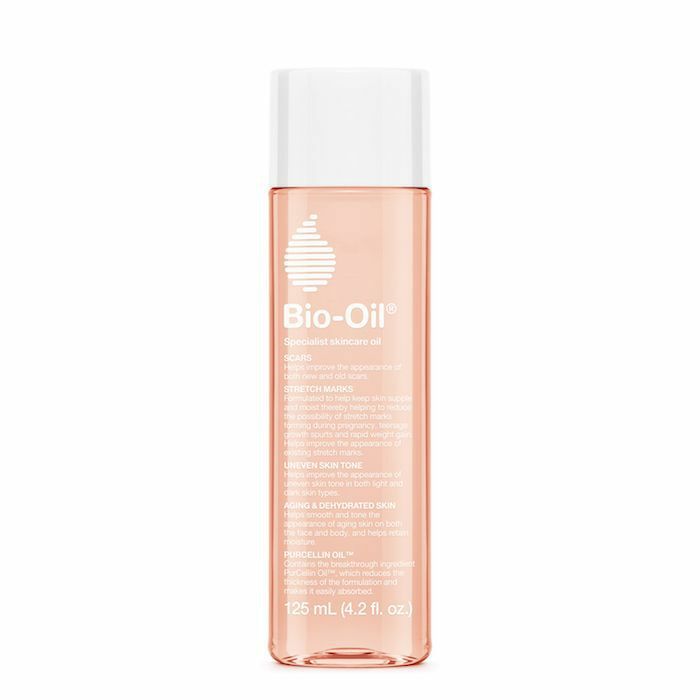 To the important part of my review: I began using Bio-Oil upon the recommendation of the all-knowing Google and have been for around 7 months (my daughter just turned 13 months one week ago). It is INCREDIBLE. I cannot over-hype this product." Other reviewers agree, saying it faded dark spots, uneven skin tone, and stretch marks after continued use. Stretch marks and uneven skin tone are notoriously hard to fade, so please excuse us while we add this to our Amazon Prime order ASAP. Head over to Cosmopolitan to read the full article.